What it is: Apple has been hiring Intel employees to work on processor technology. Apple has a secret technology lab in Oregon and they’ve been poaching Intel employees to work there. The obvious answer is that Apple is further developing their processor technology. There have long been rumors that Apple wants to transition away from Intel processors for the Macintosh and develop custom chips. While the rest of the world uses standard ARM processors for smartphones and tablets, Apple developed their own ARM-based processors that are much faster and more efficient running iOS than standard off-the-shelf parts can run Android. That’s why Android smartphones can never match the processing power of the iPhone. In the computer world, everyone uses Intel processors, but that also means that beyond the operating system, PCs are little different than Macintoshes. For Windows compatibility, that’s perfect for Macintosh users because this allows them to run Windows with no problems while also running macOS at the same time. For performance purposes, Intel processors are keeping the Macintosh from moving forward. One rumor suggests that Apple will offer an ARM-based Macintosh such as a revamped MacBook Air. A second possibility is that Apple may be developing their own x86 processors to customize it for running macOS. The problem with switching to ARM-based processors for the Macintosh is that you immediately lose Windows compatibility that many Macintosh users need. That’s why the possibility of Apple creating custom x86 processors might be more appealing because then the Macintosh could still offer 100% Windows compatibility while still being optimized for running macOS. A third option might be pairing an ARM processor with an Intel processor so the two work together. Right now, the MacBook Pro uses an ARM processor to control the Touch Bar while using an Intel processor to run the rest of the computer. Whatever happens, it’s likely that Apple will eventually abandon Intel processors. Whether they switch to ARM processors or their own custom x86 processors remains to be seen, but Intel is definitely on the way out in one form or another. To read more about Apple’s processor research, click here. What it is: More advanced features of ARKit are rumored to appear at Apple’s upcoming WWDC in June. When Apple introduced ARKit to create augmented reality apps, the demos were interesting but nothing impressive. What makes Apple’s ARKit seem so timid is that it’s based largely on Metaio’s technology, which is a German company that Apple acquired in 2015. Yet if you search for Metaio’s videos on YouTube, you can find an interesting augmented reality app called Time Traveler. The goal behind Time Traveler is that if you stand in a certain location and aim your iOS device at a certain image, you can see a historical video playing. This lets you point an iPhone or iPad at a boarded up window along the Berlin Wall and see an old black and video of people climbing out of the window to jump to freedom in West Berlin. This type of augmented reality is still not yet available in ARKit three years later after Metaio clearly demonstrated these features back in 2013. What this means is that if you want to get a glimpse of future features in ARKit, you just need to look at Metaio’s past videos on YouTube. Apple likely created ARKit to provide the foundation for augmented reality development. Now they’ll need to beef up its capabilities to match the features Metaio demonstrated yard ago. Apple is simply transitioning Metaio’s technology to Swift and Objective-C as a software framework that they can develop further in the future. So while ARKit is still behind Metaio’s old 2013 technology, it points to what’s coming in ARKit. Once ARKit matches the features in Metaio’s old technology, it will only continue growing from there. To see the future of ARKit, just look at the past with Metaio’s videos. The future is right in front of everyone’s eyes to see. It’s just a matter of time before people will recognize it. To read more about Metaio’s old Time Traveler augmented reality app, click here. To see what Metaio had planned for augmented reality years ago that included interactive manuals and educational apps, click here. What it is: Apple’s Worldwide Developer’s Conference (WWDC) will arrive this June. Usually right before Apple’s WWDC, there are plenty of rumors predicting what Apple will reveal. Yet this year, rumors are fairly scarce. Apple recently released updates for iOS, tvOS, and watchOS so it seems unlikely that they’ll release anything for those operating systems at WWDC. Apple will reveal the new version of macOS and hopefully news about new Macintosh models such as the long-delayed Mac Pro and the long-ignored Mac mini. Perhaps the most interesting rumor is that Apple is working on an ARM-based MacBook Air. Over the Memorial Day weekend, many retailers were offering huge discounts on current Macintosh models, which suggests they want to clear out inventory ahead of time. The big question is how would an ARM-based Macintosh work? The safest and simplest solution would be to run iOS and ignore any compatibility with Windows through Boot Camp or programs like Parallels. Perhaps Apple should also name the iOS, ARM-based computer something different because people will associate the Macintosh with all the software currently available for macOS in the same way that people associated Windows software with Windows RT, only to find out that Windows RT couldn’t run any Windows software. What’s likely to come will be more augmented reality features thorough iOS. The macOS operating system, under its previous name of OS X is coming to an end. More people are relying on mobile devices that PC sales keep dropping. That’s why Apple will likely shift to ARM-based computers whatever name they finally call it. If Apple released an iOS, ARM-based computer, it would run the entire iWork office suite (Pages, Numbers, and Keynote) but it will need support for other programs like Xcode. Right now, it’s not possible to create apps on an iOS device. By removing this limitation, an iOS, ARM-based computer could become a mobile tool for developers. This would likely speed up app development and give developers a reason to buy an iOS, ARM-based computer. In another few weeks, we’ll know what Apple has planned for WWDC, but we do know that it won’t be just about operating system updates. Expect something interesting to appear. If nothing interesting appears, then WWDC risks being a giant snooze fest for everyone but developers. To read more about Apple’s WWDC, click here. What it is: Wi-Fi routers have been infected by malware. Make sure yours isn’t one of them. The FBI recently released a report about malware that may have infected routers. Back in the old days, people used to worry about protecting their operating systems from malware, so they relied on firewalls and anti-virus programs. Then people had to worry about individual software being infected such as Adobe Flash or Microsoft Word, sot hey had to keep patching their commonly used programs. Now they have to worry bout hardware getting hacked such as Wi-Fi routers. Essentially, anything that involves a computer can be hacked so be careful. No matter how secure your computer might be, it’s not. Computers are inherently insecure simply because they have too many possible vulnerabilities that hackers can exploit. If you think your hardware or software can be immune from attacks, you’re delusional. In general, the best way to avoid becoming a victim of malware is to avoid using what everyone else is using. Most malware attacks Windows since that’s the most common operating system in PCs, so you can avoid that threat by using a Macintosh or Linux. Avoid using Adobe Flash and other plug-ins. Switch your browser from the default one such as Safari and use a more obscure one like Opera instead of Chrome, which is equally popular. Buy and use obscure hardware such as less popular Wi-Fi routers. Sound like a hassle? It is, but that’s the price of security. You’re never going to be 100% secure as long as you use a computer so the goal isn’t rock-solid security but good enough security. By simply using what other people aren’t using, you can make yourself more secure just enough to avoid most major malware attacks. To see which Wi-Fi routes are affected by this latest hardware malware, click here. What it is: Andy Rubin, the co-founder of Google’s Android operating system, started a company called Essential, which is now trying to sell itself. There’s a mistake people make all the time. If one person has success, they automatically assume that person will always have success from now on. What they don’t realize is that sometimes success is more of an accident than a well-planned operation. Such is the case with Andy Rubin. Andy helped create the Android operating system which originally was designed to mimic Blackberry OS since Blackberry smartphones were considered the elite smartphone at the time. When Apple introduced the iPhone, Andy immediately knew Android’s future had to mimic the iPhone. Because the iPhone was limited to a handful of carriers at first, Android could mimic the iPhone and give people an iPhone-like experience without getting an iPhone. Andy later left Google to form a company called Essential, which tried making their own line of smartphones. Amazingly, investors once valued Essential as a $1 billion dollar company before they even shipped a single product. All of this high valuation came about because Essential was created by Andy Rubin who also created Android. 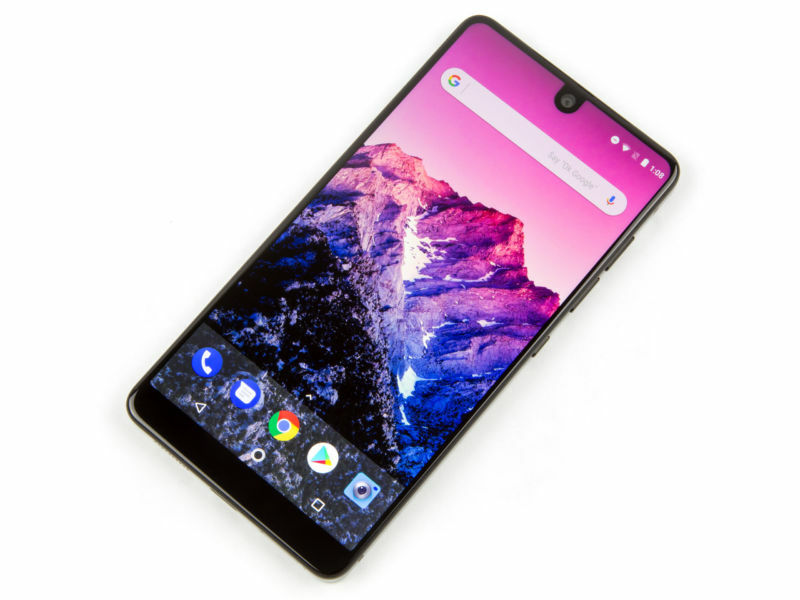 Therefore, according to investors’ logic, Essential should also be valuable because it would soon dominate the smartphone market like Android did. Of course what people failed to realize was that Essential created nothing more revolutionary than another Android smartphone. With Android smartphones available from dozens of manufacturers, there was no compelling reason to buy an Essential smartphone just because it was made by a company run by the creator of Android. People don’t care who makes a phone just as long as it’s cheap enough and useful enough for their needs. Essential had to cut the prices of their smartphones to sell more and now they’ve announced they won’t make any more smartphone. That’s because they never had a viable business plan in the first place. Why would the world care about another Android smartphone when most Android smartphone makers are losing money selling smartphones? Essential likely will disappear from the world because it literally has no reason to exist in the smartphone market. The company may try to survive as a smartphone device manufacturer and that may give them more success, but as another Android smartphone maker? Even LG Electronics and Sony have trouble making money selling Android smartphones. Why did anyone think Essential would have an easier time? Human beings are basically illogical. The Essential smartphone wasn’t bad, but it wasn’t anything special either. The Android market is tough because Samsung dominates and most other companies just lose money selling Android smartphones. Even Google can’t make money selling Android smartphones, so why did anyone expect Essential to have massively better luck? Because Android is a free operating system, it’s turned Android smartphones into a commodity, and if you can buy an Android smartphone from any company, there’s little reason to stay loyal to any particular company. Android may have massive market share, but its worst enemy is itself. To read more about the financial troubles of the Essential company, click here. What it is: Anti-virus company Avast has found malware is pre-installed on many cheap Android phones. Originally Android was designed as a Blackberry clone because Blackberries were the most popular smartphones available. When Apple introduced the iPhone, Google quickly rewrote Android to become an iOS clone. While Android and iOS continue to copy each other, the bottom line is that Android wouldn’t exist in its current incarnation if Google didn’t deliberately redesign it to mimic iOS on the iPhone. As an operating system, Android is decent and there are many features of Android not found in iOS (and vice versa). The huge difference between Android and iOS lies in security. Because Apple curates apps on its App Store, the chances of malware getting displayed on the App Store is minimal although it has happened several times. On the other hand, Android allows anyone to install apps with no curation at all, which means users can often be tricked into installing malware. While many people can avoid malware by simply avoiding visiting suspicious sites, Avast Threat Labs recently discovered that many cheap Android phone makers are pre-isntalling malware on the phones before anyone even buys or uses it. Thus you can buy an infected Android phone and not even know it. The problem isn’t Google’s fault but the fault of dishonest Android phone makers. If you’re going to buy a smartphone running Android, make sure your smartphone is certified by Google. Failing that, make sure you run anti-virus software to keep your Android phone clean. For even less hassle, just buy and use an iPhone. Malware is the main reason why Android’s open source policy isn’t always a benefit. The main idea behind open source is that users are free to install any apps they wish from any place they wish. The drawback is that users must also watch out for malware. The iPhone isn’t immune to malware but because of its walled garden approach to apps, it’s far less likely to get infected by malware. No device is immune but given a choice between minimal risk or maximum risk, why would anyone want to choose maximum risk? To read more about pre-installed malware on cheap Android phones, click here.